Parents often wonder, what is a good age to start music lessons? Are they too young? Not if you have the right program, and we definitely do! Our students learn discipline as well as homework habits, team work skills that will benefit them far beyond the limits of the music classroom. They will learn to read music at a pace that is not overwhelming. The piano is a wonderful instrument to introduce your youngster to the world of music, and we have the perfect program to do so. 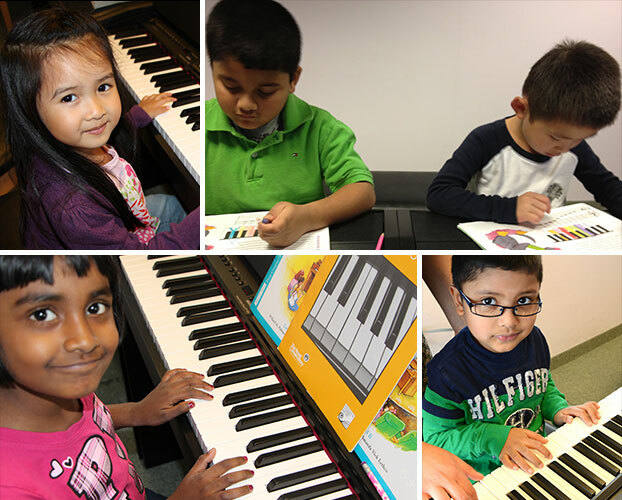 Our kinder piano program combines practical instrumental learning with fun activities geared to keep your little one interested as well as reinforce the essentials of musical theory. Your child will learn to love music in a fun academic environment. Our preparatory program is geared for the optimal learning of your not so little one. 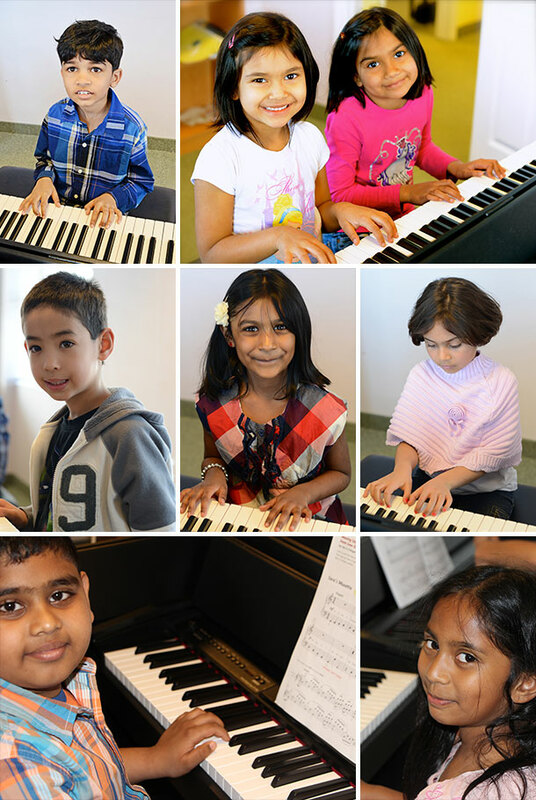 This program moves at a slightly faster pace than our kinder program but also includes fun activities to promote the fundamentals of music but with a stronger focus on instrumental playing. This is a program for the later beginner, it moves more quickly than our preparatory program. 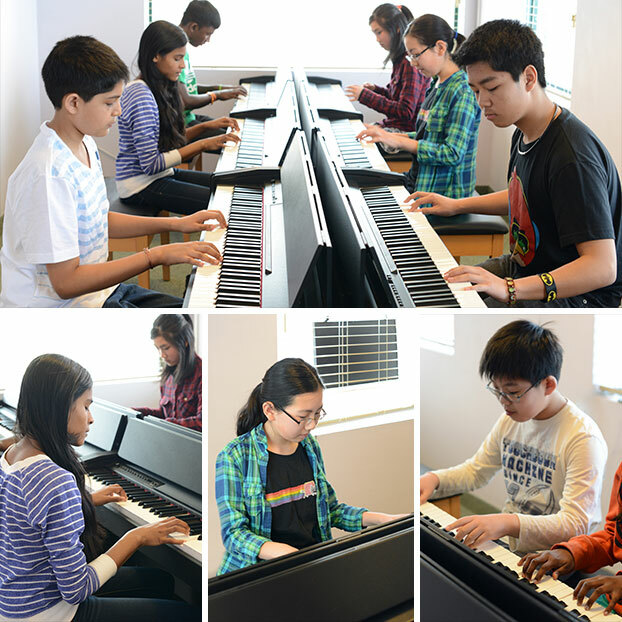 The program focuses on instrumental playing as well as introduces students to musical theory. Who says it’s too late to learn to play the piano? If you have always wanted to play, there is no time like the present. Our adult program focuses on note reading and chord playing. It is fast paced and focuses on issues that later beginners sometimes face.